Global custom engineered thermoplastics compounder RTP Company announced that it has undertaken an expansion at its Ladenburg, Germany production facility that will nearly double the locations footprint to 9,700 m2 (105,000 square feet). 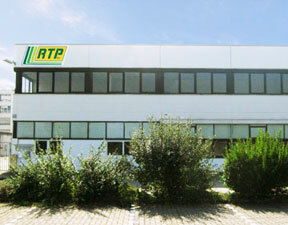 RTP Deutschland GmbH in Ladenburg, Germany. In addition to relocating a compounding line from Clariant’s site in Ahrensburg, Germany that was included in the recent conductive compounds acquisition, RTP Company will be installing additional pultrusion lines for manufacturing very long fiber composites along with another state-of-the-art compounding line during the expansion. With the additional equipment RTP Company’s production capacity in Ladenburg will increase by 8 million kg (17.6 million lbs.) per year. Opened in April 2011, RTP Company’s Ladenburg location is its second manufacturing site in Europe, the other facility is located in Beaune, France. Both locations are part of RTP Company’s global network of 12 production facilities that are positioned regionally to provide global access to technical expertise and supply materials with short lead times. “Increasing capacity at our Ladenburg, Germany facility, plus the opening of our Shenzhen Technical Center last month in China, exemplify RTP Company’s commitment to building the infrastructure needed to meet the growing demand for custom engineered thermoplastic compounds by our customers around the world,” said Hugh Miller. In addition to producing custom compounds, the Ladenburg facility provides technical support to RTP Company’s customers in Germany and throughout Europe with on-site engineers and product development laboratories.